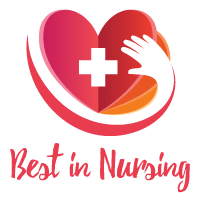 The American Health Council recently appointed Amie Swaringen, RN, ADN to its Board of Nurses for her outstanding contributions to the nursing field. Currently the director of nursing at The Laurels and The Haven in Highland Creek in Charlotte, N.C. , Mrs. Swaringen oversees all resident services including scheduling, education of staff and resident assessment of care. While she has held her current role for nearly one year, she has spent the last 32 years in the healthcare industry expanding her skills and expertise in adult and geriatric medicine. Naturally a compassionate and nurturing person, Mrs. Swaringen decided to pursue a career in the nursing field because she felt compelled to help others and make a difference in the field of nursing. She enrolled at the Cabarrus Memorial Hospital School of Nursing and earned an Associates Degree of Nursing in 1986. She began working at Carolina’s Medical Center in Charlotte, where she found significance in cancer nursing, eventually leading her to become the Director of the Out Patient Chemotherapy Department. In 1995, she began working at Gentiva Health Services, where she became Wound Care Certified. She remained there for 20 years, garnering clinical skills, staff training and precepting, staff management and motivation, team leadership and home health experience. After departing from Gentiva Health Services, she moved on to Morningside of Concord a Five Star Assisted Living Facility in 2016 and served as its registered nurse and wellness coordinator until mid-2017. She then assumed the role of director of nursing at The Laurels & Haven in Highland Creek also a Five Star Assisted Living Facility and has remained in that role since. To continue to evolve within the nursing field, Mrs. Swaringen is a member of the American Nurses Association and the Association for the Advancement of Wound Care. In the heart of the upscale suburban neighborhood of Highland Creek, The Laurels and The Haven are perfectly positioned to help residents stay connected to the community. The Haven is home to its Bridge to Rediscovery program – a Montessori-based, award-winning program for residents with Alzheimer’s disease or related dementias. Five Star’s assisted living services support seniors who can no longer live on their own safely yet also do not require complex, round-the-clock medical care. With respect to their privacy and dignity, the facility offers seniors friendly assistance with the activities of daily living, such as personal care, transportation, and medication reminders.